I’m sorry to tell you but the web is a harsh place. You can have the best looking site in the world with great resources and content and go entirely ignored or unnoticed. It hap­pens. It’s happening right now. Somewhere out there in cyberspace is a brand new, attrac­tive website loaded with great content, and nobody cares. Poor little lonely site. No matter how much money you spent on it, how stunning it looks or how persuasive the sales copy is, your website is nothing more than a bunch of files sitting on a computer. It just so happens these files are connected to the Internet, therefore anybody can get to them. But ultimately, they can only get to them if they know they exist. Somebody has to link to them, or they need to be given the URL. Otherwise, your website remains invisible. Every website had its early days. Even sites that get hundreds of thousands of visitors a day started out with none. But it’s a gradual process and you won’t suddenly start getting hundreds of visitors to your new website overnight! There’s still a widespread myth that you can run a profitable internet business without spending money on advertising. It’s simply not true. Very few online businesses can suc­ceed without paid advertising. The vast majority of online businesses will need to advertise or they doom themselves to a meagre existence of small sales, smaller profits – and gradually decreasing profits at that. It’s true that by carefully optimising your website for the search engines, you can bring in a steadily-increasing stream of “free” traffic. But this takes time (at least three to six months to see significant traffic). And, of course, this traffic is not truly free because you need to invest time (and probably money) in Search Engine Optimisation (SEO). So, how do I get visitors to my website? There are four main ways to get traffic to your website. Traffic from pay-per-click advertising, such as Google Ads and Facebook pay-per-click ads. Traffic from other advertising, such as banner ads on other websites and/or blogs, newsletter advertising and affiliate programmes. Traffic generated by following up former visitors by email, with special offers to keep them returning to your site. So, let’s discuss each of these four traffic-generation methods, one-by-one. To get a steady stream of “free” traffic from Google and the other search engines is the Holy Grail of internet marketing. Not only is search engine traffic the least expensive, but the people who find you through the search engines are likely to be the most responsive, because they have sought you out themselves. To get traffic to your site for the search words or “keywords” that are important to your business, you will need to put some time and effort into search engine optimisation (often abbreviated to SEO). I’m going to be absolutely frank here. There’s no quick and easy way to get your website to rank on the first page of Google for your most important keywords. A few years ago, when the web was less crowded and search engines were easily fooled, it was possible to get a page one ranking with minimal effort. For example, you could repeat a keyword dozens of times on your webpage and magically it would shoot to the top of the rankings. These days that’s considered spamming and can get you banned from Google. There is a huge amount of information now available about SEO. Much of it is highly techni­cal, and much of it is out of date. To make this section as easy as possible for you to understand, I am going to keep it simple. If you ultimately decide to outsource SEO, this section will give you a basic understanding, so you will be an informed shopper when choosing an SEO company. If you decide to do your own SEO, this information will get you started, though you’ll need to invest in more detailed books eventually. For most businesses, it’s a slow and steady process to get your website to rank on the first page of Google. There are many factors that need to be working well to get a website firing on all cylinders and delivering well qualified sales leads on a regular basis. But the good news is, it can be done, once you grasp a few basic principles. The approach I recommend is to attract Google’s attention by creating the types of content that people value and want to read. Once people start talking about you and like your products, then you are probably going to get some free high-quality links to your website, which will make Google love you even more. It’s worth noting that more than 95% of all web searches in New Zealand are now made through Google. Worldwide, Google is slightly less dominant but its share of global searches is now more than 75%. The bottom line is, optimise your website for Google and your ranking on other search engines will take care of itself. SEO has two parts, each equally important. The first is web page optimisation and the sec­ond is getting links back to your website. Basically, web page optimisation means setting up your web pages so the search engines can easily understand what they are about, and thus give them the best-possible ranking. At the heart of web page optimisation is ‘keyword’ research. You may think this section looks tedious and boring, and be tempted to skip it. But please try to stick with me. I’ll explain why keyword research truly can make or break the success of your website. Over 80% of all online transactions begin with a keyword search. To compete, you need to target all the relevant keywords. So what are keywords? They’re the words that people are most likely to type into Google (or other search engines) when searching for your product or service on the Internet. On the Internet, keyword research essentially fulfils the same purpose as market research does in conventional offline marketing. It helps you discover exactly what your target mar­ket is looking for and how you can target your sales message to meet their needs. I hope you are now starting to see why selecting the right keywords for your site is one of the most important areas of web marketing – and one that’s sadly too often overlooked. Pick the right words and phrases for your website and you are well on the way to attract­ing visitors. Pick the wrong words and you will sabotage your search engine optimisation efforts. They might type in “golf clubs” or “golf equipment” or “golfing stores” … or many other possible variations, such as a specific make or model of golf club. Or maybe your potential customers are not looking specifically to buy golfing equipment right now. They might just be surfing the Net looking for information on golf. Wouldn’t it be great if somehow they came across your website during their search? They will, if you pick the right keywords. And if your website also provides lots of relevant information about golf, based around those keywords, your potential customers have a good reason to stick around and check out your site. So how do you pick the right keywords? You can do this by guess work. But you run the risk of picking words and phrases that no one is searching for, or for which there’s already a lot of competition. And that’s not what you want. Fortunately, there’s a much better way. Sign up for a Google Ads account (you don’t need to spend anything on advertising, just open an account and you will get access to the Google keyword tool. This shows the approximate number of search queries matching your keywords that were performed on Google and the search network in the previous calendar month. These are the words and phrases around which you will build the content of your web­site. How do you optimise your site using keywords? Once you know your best keywords, then you have to figure out which pages of the site do these keywords belong on. Every page of your website is a potential entry point for the rest of it. So you don’t want to focus all your optimisation efforts just on the home page. You need to look at each page of your site and see where your keywords can best fit in. Most web designers make a serious mistake when they build sites. They either don’t consider search engine optimisation at all, or they add it as an afterthought once the site is built. You need to build each page of your website on the right keywords, right from the start. Do your keyword research upfront, so you know before you even build your site what keywords your visitors are likely to be searching for. And most important, don’t undertake a website design – or re-design – without first taking SEO into account. Even the best looking site is worthless if no one can find you on Google! Use your main keywords in the headline on your page. Use your main keywords in the first paragraph of the page. Use your main keywords liberally throughout the page. But don’t “stuff” your page with keywords. It must sound natural, or Google will get suspicious and penalise your site. It helps, too, if some of the keywords are in bold. This is an extra bonus that will encourage the search engine “spiders” to give greater weighting to your keywords – and give you a better ranking. Meta tags are the hidden tags written in the HTML code of your website. They are de­signed to tell the search engines what your page is about. If you want to get a top search engine position, you must put the right content in your meta tags. Sometimes the TITLE is the only information about your site that appears in search re­sults. The TITLE is what people use for bookmarks. So it’s important to get it right. Using your primary keywords in your TITLE tag is the most powerful thing you can do to boost your search engine ranking. After the TITLE, the description is your second chance to persuade people to visit your website – or not. So it should be an accurate guide to what’s on the page. And it must be worth reading. Ideally, you should use exactly the same keywords to start your description tag as you used for the TITLE. Then you can elaborate further on the content of the page. The third meta tag is the keyword tag. A few years ago, people used to think the more keywords they could cram into this tag the better. They would list hundreds of keywords. Now, this is a waste of time. In fact, Google regards it as “spamming” and will penalise you if you repeat too many keywords. So limit the number of keywords on each page of your site. It’s best to focus on just a few keywords for each page. As you can see meta tags are not rocket science. And if you do it right, you are almost guaranteed to dramatically increase your search engine ranking. After the meta tags, the next thing search engines look for on your web page are the head­ings. In HTML, these are designated by H1, H2, H3 etc. H1 is usually the main headline, with H2, H3 etc for sub-headings. Since headlines often contain important hints to the content of the webpage, search en­gines take note of any keywords found here. So it’s important to include your keywords in the headline and sub headings. This may seem a bit technical, but it’s important. Make sure your web designer uses these H1, H2, H3 tags on your pages (not all web designers do). This refers to the main content of your web page and it is very important that your key­words are used in the right places on the page. Search engines look at the first paragraph for a clue as to what the web page is about, so you need to include your main keywords there. Furthermore, search engines look at the final paragraph, on the assumption that it will summarise the ideas on the page, so it helps to have your keywords in there, too. You also need to use your keywords on the rest of the page, in a natural way. Don’t overdo it, though. The copy must sound natural. Google is so sophisticated now, it can detect when keywords have been used unnaturally in a page, and you are likely to get penalised. Every page on your website – not just the home page – needs to be search engine friendly! This is the basic level of care that your website designer should take when building your site. If they didn’t, you will need to go through each page and make some tweaks. a few times in the main body of the page. If all these places use the same keywords consistently, you will have the maximum chance of getting a good ranking. If your website is brand new, you should set up an account with Google Search Console. Then you can submit the site to Google, including a sitemap and ask Google to crawl your site. If you don’t submit it manually, they will still pick it up as soon as another site links to it. When I build a site for a client I normally add it to my portfolio page, which automatically provides a link in to the new site for the search engines to “spider”. In addition, you will want to submit to directories but I’ll cover that in the next section. Web page optimisation is only half of the SEO equation. The other half, and the harder task, is getting good quality links to your website. Google puts a very high value on the number of links coming in to your site, and where these links come from. The more popular the site is that links to you, the more value Google places on that link. Links are considered to be a recommendation that your website is relevant and worth visiting. The ideal is to have high quality links to your site, with your relevant keywords in the anchor text. So, for example, if your site is about solar energy, you would have ‘solar energy’ in the clickable text of the link. But getting links from sites that Google considers trustworthy isn’t easy. The big question now is, how are you going to get them? Are you going to do it yourself, or outsource? Be­cause the cold truth is, free traffic isn’t actually free. It’s either going to cost you money or your valuable time. So, how do you build links the right way? One of the easiest was to start building links is to submit your site to web directories – both general web directories and directories in your market sector. Creating your Google My Business account may take a little time, but it’s an essential ingredient in boosting your rankings in Google’s search results. So, it’s well worth the time. A global directory with a site dedicated to NZ businesses. Yelp offers more than just a great listing opportunity: it lets users review your business, which can further boost your search rankings. Probably the best online directory in New Zealand for SEO because Finda is an official Google partner. A global directory, iBegin has a sub-directory dedicated to NZ businesses. High ranking and with a quick sign up process. Impressive presence in Google.co.nz for a variety of searches. Very nice map-based business directory. Global directory, with dedicated subdomains to New Zealand cities. Free text in the description field, so you can add hyperlinks (this is rare!). Web directory for NZ and AU businesses. Quick and easy sign up process. Sites are listed quickly. An up and coming directory with a growing number of users, Localist is an important place to list your business. One of the oldest NZ web directories but still worthy of your time. Though expect a bit of a wait before your business listing appears on the site. A New Zealand owned and operated business directory. Serves both NZ and AU businesses. All the above directories are free to submit to. You can also get a paid listing in Yellow, which can often be well worthwhile. In addition, there are local web directories for each region of New Zealand, where you can also list your website. And within your market sector there are also likely to be directories where you can get your website listed. Each of these directory listings creates a valuable link to your website, which will help to improve your ranking on Google and other search engines, in addition to attracting visi­tors who happen to see your site in the directory itself. Beyond New Zealand there are a huge number of directories where you can submit your site, both general directories and those related to your particular niche market. The Open Directory Project www.dmoz.com is a free directory, which also has a page rank of 8. It takes longer to get into the Open Directory because each submission is con­sidered manually and they are notoriously short of volunteer editors. But if you don’t mind waiting, it’s worth submitting your site. Jayde. This is another free directory, with a page rank of 6, which is worth submitting to. www.jayde.com . In addition to directories, there are many blogs and other websites that discuss your topic. Contact the owners of these blogs and websites, and discuss the possibility of a link to your site, in exchange for a “reciprocal” link from your site back to theirs. It helps if you provide valuable content on your site that is worth linking to. Do a Google search for other websites that are in related fields to your own but who are not direct competitors. Contact them and ask for a reciprocal link. In most cases, this is a win-win for both businesses and the owners of the sites will be happy to exchange links. In some cases, a website has such useful and interesting content that people will want to spread the word and link to it from their own sites. If your site is like this, your link build­ing will occur naturally and steadily over time. There is a snowball effect on the Web, where links beget more links. If you start a blog, send out newsletters and generally keep yourself in the public eye, you will gain more and more links, and Google will increasingly love your website! What does the future hold for search engine optimisation? In short, it’s going to get more and more difficult to “trick” Google into giving your site a high ranking. Google has only one objective. To provide the most accurate possible search results, which are as close as possible to what people are actually searching for. But the good news is, you don’t need to worry if you make sure you provide plenty of good quality content on your website, which is of value to your target market. The old saying holds true: Content is King. Plain and simple, if you have good content, people will bookmark it, comment on it, and talk about it on other websites. And Google will take notice. This will continue to boost your SEO efforts more than anything else. Focus on building content and everything else will take care of itself. 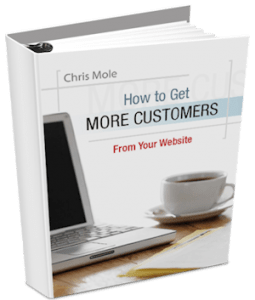 Keep in mind that even a top ranking on Google won’t mean a thing for your business un­less your website is designed and written to convert that traffic into paying customers!